The Port of San Diego aims to show the world just how much microgrids benefit ports with its solar microgrid project, supported with a $4.9 million grant from the California Energy Commission (CEC). About $4.4 million in matching funds will be provided by the port for the microgrid, which is expected to have 700 kW of solar and 700 kW of energy storage. A portion of the port’s electrical needs will be served by the microgrid — the demand from the Tenth Avenue Marine Terminal. The port has two cargo terminals, one in San Diego and one in National City, and two cruise terminals in San Diego. It also has public parks, piers, marinas, museums, hotels, restaurants, retail and more on the 34 miles of San Diego Bay waterfront. The port is located adjacent to the airport and also to a disadvantaged community, both of which will reap advantages from the microgrid. “The port will be evaluating its operation 24 hours a day. We hope to come up with a business case to show how microgrids can benefit the ports all over the world,” said Mike Gravely, CEC research program manager. 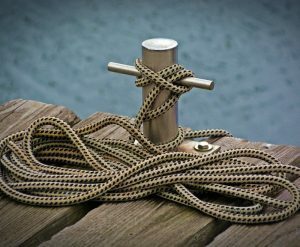 It’s especially important to focus on ports because they often emit greenhouse gases due to the use of diesel-powered trucks and other vehicles for loading and unloading equipment, noted Gravely. In addition, they’re often home to airports and other critical facilities. The Port of San Diego is located in an area that has high population density and high pollution. The benefits of the microgrid are economic, environmental, and social, said Gravely. The microgrid is expected to cut the port’s energy costs significantly, while demonstrating integration of distributed energy resources — including solar, storage electric vehicles and demand response. Most important of all, the project will test how well the microgrid can island from the grid — and for how long, said Gravely. It will do this by providing real-life experience in operating batteries, solar photovoltaics and storage. Gravely noted that batteries and PV have been around for many years, but the equipment and software hasn’t been combined to function together for extended periods. “The only way to know what works is to do it. We have found that with PV and storage from two different vendors, software needs to be adjusted. There’s some trial-and-error,” he said. Demonstration projects like the Port of San Diego’s will help make future microgrids less expensive, he added. In fact, the microgrid project is expected to cut the port’s energy costs by 60 percent, said Renée Yarmy, the port’s program manager of energy and sustainability. The savings come from improved efficiencies and advantageous contracting. For example, use of solar-plus-storage will cut 850,000 kWh from the 1.5 million kWh/year used by the port. An energy-efficient lighting retrofit will reduce energy use by another 285,000 kWh a year. Additional cost savings come through a long-term power purchase agreement (PPA) with a solar provider. Rather than the current 20 cents/kWh, the agency will pay about 10 cents/kWh, said Yarmy. The agreement will cover all of the port’s electricity demand and won’t require any upfront capital. The PPA is essentially a 20-year leasing agreement that would allow the port to own the solar energy system at the end of the term, Yarmy said. It makes more sense for a third party to own and operate the solar equipment at this time because the port, as a public entity, can’t take advantage of federal tax credits, she added. The solar developer, however, can pass on to the port the tax benefits through lower electricity prices. The Port of San Diego will provide $4.4 million in matching funds by paying for the solar energy, preparing a warehouse roof replacement to make way for solar, paying for the energy-efficient lighting retrofit, and contributing staff time, said Yarmy. The University of California is contributing more than $200,000 in research-related support. During emergencies, having a microgrid at the port will benefit the nearby San Diego International Airport and US Department of Defense, which is based at the airport. “We share the bayfront with the Navy and the Coast Guard and are often partners in various capacities — homeland security, law enforcement, environmental efforts and more. We are a Strategic Port, one of 17 in the US. That means our cargo terminals are available for Department of Defense use on 48-hours notice for movement of troops, equipment and supplies,” said Yarmy. For the airport, the microgrid will support jet fuel storage operations. Jet fuel pumping is powered by the port’s electrical distribution at Tenth Avenue Marine Terminal, and is transported in underground pipes to the airport. In an emergency, if that jet fuel isn’t available, airport operations would continue for only a day, said Yarmy. In addition, the project will aid the delivery of emergency goods and supplies if they’re needed, which will help the disadvantaged community adjacent to the project, said Yarmy. Densely populated and polluted, the community also will benefit from the microgrid in that the project is expected to cut the equivalent of 300 metric tons of carbon dioxide. Over the long-term, the microgrid will support California’s efforts to electrify the transportation industry, according to Gravely. California is pursuing the goal because transportation accounts for 40 percent of greenhouse gas emissions in the state. With more electric vehicles at the port, the project can support transportation electrification by providing demand response when demand for grid electricity is high, taking the port off line for a few hours, if necessary, he said. 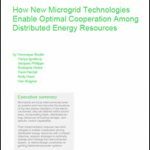 How might microgrids benefit ports worldwide? 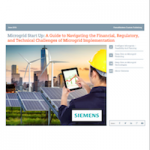 Weigh in on our LinkedIn group, Microgrid Knowledge.